Electric Time® Company of Medfield, Massachusetts, USA manufactures quality, custom made clocks. We specialize in “DesigningTime®“. 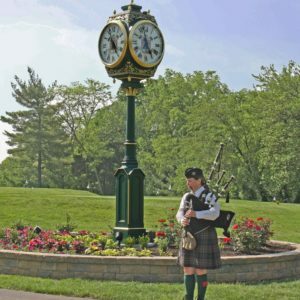 Our tower clocks and building clocks, or post clocks are all custom manufactured to your specifications. Choose from our standard designs or let us create a special design for your project. We manufacture clocks for any location, in any size. For over 80 years, Electric Time® has been a master in the art of handcrafted clock manufacture and design. Our choices of indoor and outdoor styles range from silhouette clocks and tower clocks to post clocks, street clocks and wall clocks. 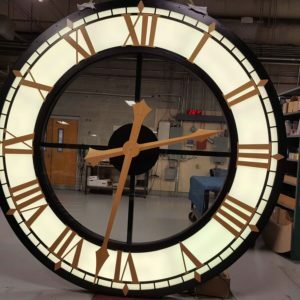 If you need more than our standard styles, let Electric Time® Company translate your ideas into our one-of-a-kind custom architectural clocks. We combine technology and craftsmanship to produce a product of unequalled quality.